28 years on, the company enjoys a significant market share, with many original customers still getting service today. 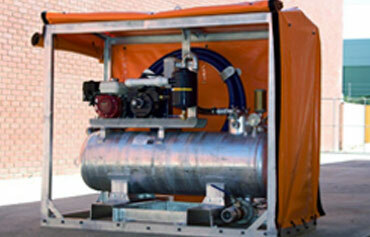 Our goal is to provide quality compressed air and vacuum systems supported with great service and spare parts. Our team are all qualified and equipped to solve your problem quickly and economically. Our business is built on a philosophy of professional service, friendly honest advice and the highest standard of equipment. Air & Power was established as an independent company in 1990. The intention was to develop a separate identity to specialise in sales and servicing of air compressor and vacuum pumps. The owner/operator structure has been the key to success in a market many have tried and failed. Baden is one of three original owners and still has hands on management role in the business today. Service manager Cameron merged his business in 1995. 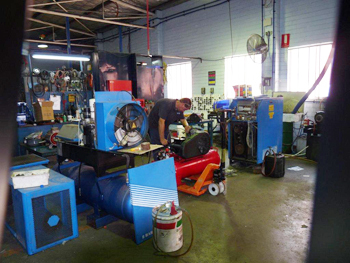 A fitter machinist by trade, he brought with him 18 years of experience in this industry. You are not likely to have a problem he hasn’t seen before. Twenty eight years on, the company enjoys a significant market share, with many original customers still getting service today. Our business is built on a philosophy of professional service, friendly honest advice and the highest standard of equipment. 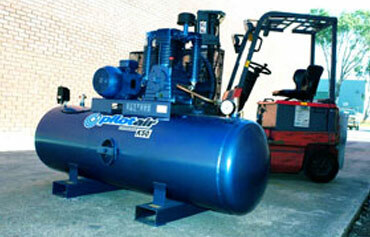 Our goal is to provide quality compressed air and vacuum systems supported with great service and spare parts. Our solutions deliver low lifetime ownership cost. 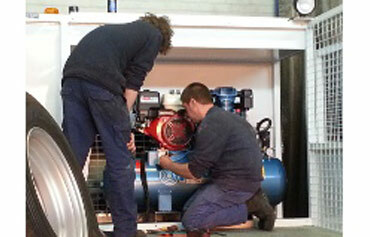 Specialist mobile technicians , with a combined service of over 30 years, are in the field every day keeping the air flowing. Our team are all qualified and equipped to solve your problem quickly and economically. Pilot air compressors and Masport vacuum pumps were part of the original product range and are still the core products offered today. A huge range of standard products and the ability to build and customise in house means we will have a solution for most applications. In a world where customer service and product quality is often compromised, Air & Power has steadily grown with a focus on prompt and professional customer service and quality products. Specialising on core products with long term value for the customer has led to good market share and reputation in the industry. Contact Us for more information about the compressed air and vacuum systems, or about repairs and maintenance of your equipment. Use our experience to help you choose the correct products for your application. With our mobile service vehicles being well stocked with parts and accessories, your repair is completed quickly and efficiently.